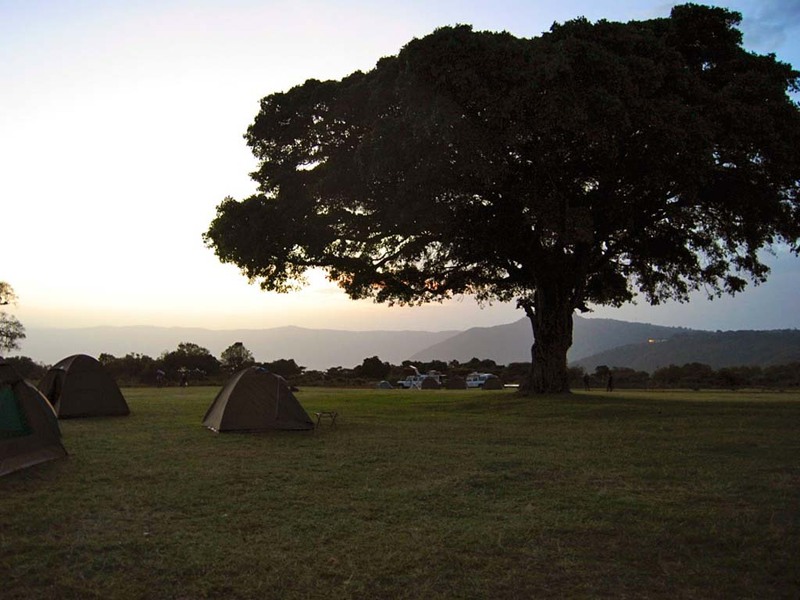 On this camping safari you will experience it all! 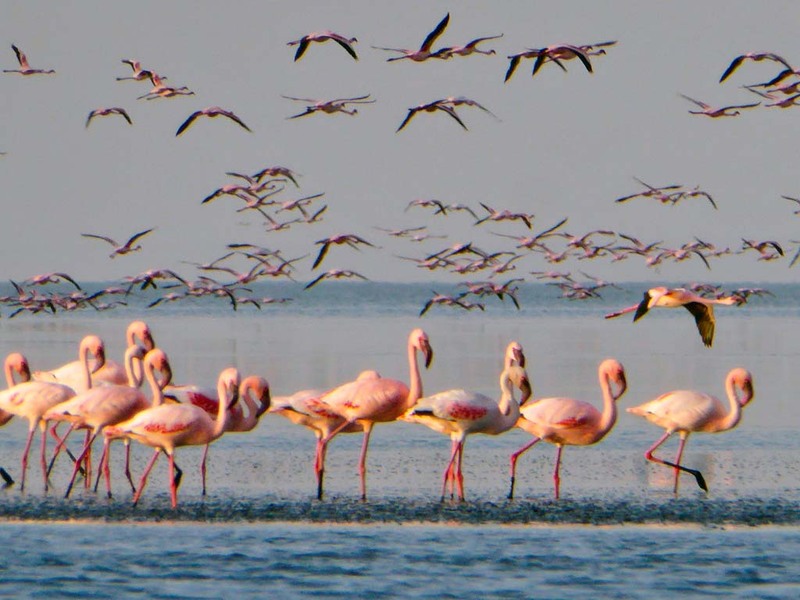 From fantastic wildlife to impressive landscapes and meeting the local people. 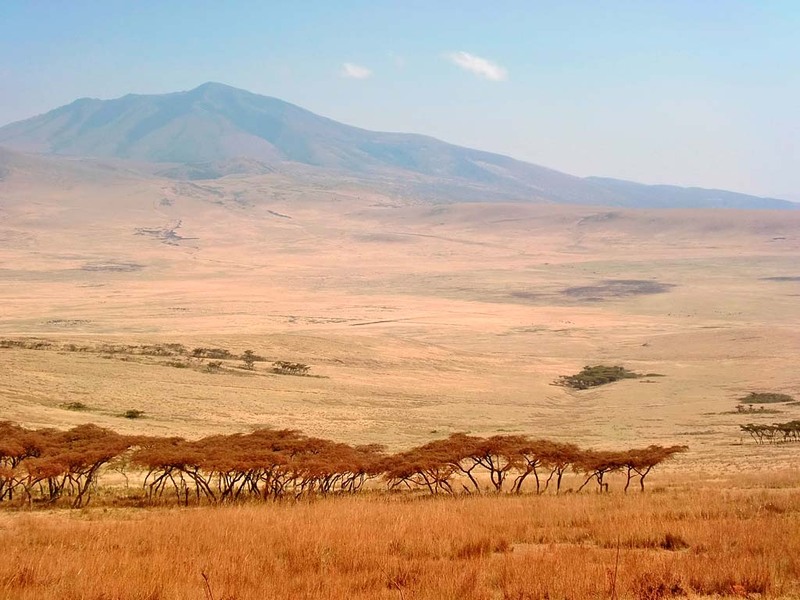 You will visit the highlights of northern Tanzania such as the Tarangire National Park, Lake Natron, the Serengeti National Park and the Ngorongoro Crater. 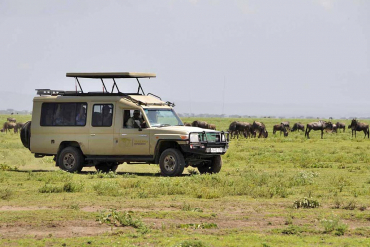 Unique to this safari is the “off the beaten track” trip to Lake Natron, offering you a real sense of adventure. What can I expect in terms of group size and nationality? Group sizes range anywhere between 2 and 7 people per vehicle and travellers come from all over the world. 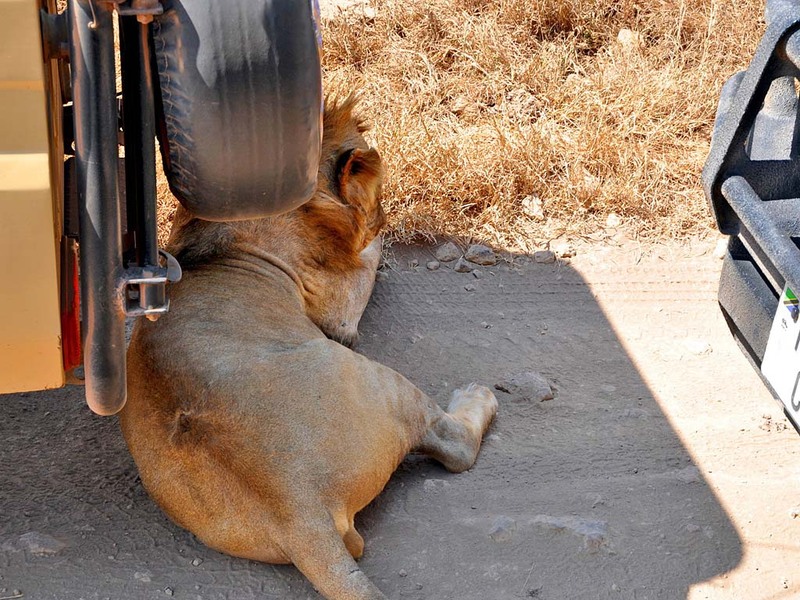 There is no set age limit, however, we discourage parents with children under the age of 8 to join such a safari due to the lengthy drives and the fact that nights are spent on unfenced campsites. 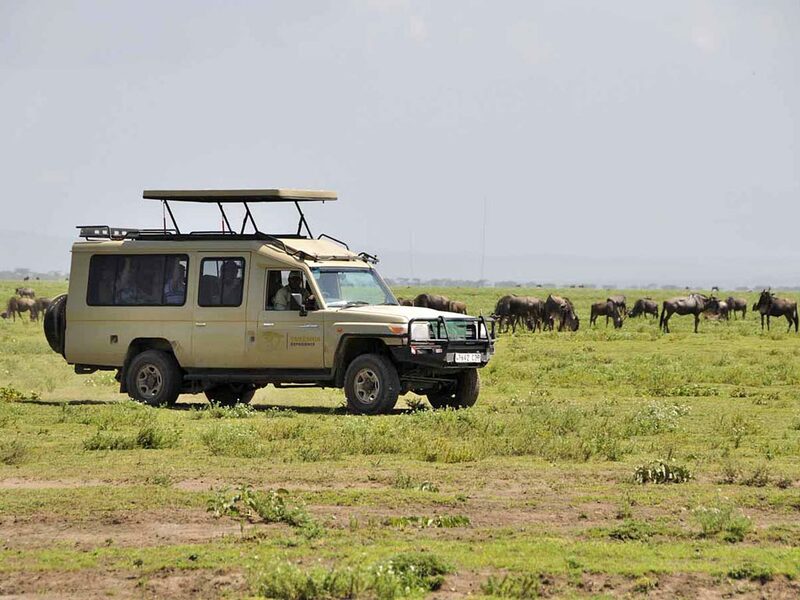 If parents are nevertheless convinced that their child / children are unfazed by the long driving distances and the travel time that goes with it, children are welcome to join the safari. But please keep in mind that the responsibility for each child lies with you as a parent at all times. Where will I spend the night? Are there ablution facilities at the campsites? Yes, communal ablution facilities can be found on all campsites. Most of them are very basic and hot water is few and far between. What kind of vehicles are used? What meals does the price include and what kind of food can I expect? The tour is run on a full-board basis and meals are included as indicated in the itinerary. Mineral water is also provided, whereas all other beverages (soft drinks & alcohol) are excluded and on your own account. Breakfast can include eggs, sausages or bacon and toast and jam. Coffee, tea and hot chocolate are also provided. Lunch-boxes are provided for lunch and are enjoyed en-route at a picnic spot. These usually contain sandwiches, boiled eggs and fruits or grilled chicken thighs. Dinner is freshly cooked and meals consist of meat or fish and some sort of starch (pasta, rice, mashed potatoes etc.) and vegetables. We will provide you with a detailed packing list at the time of booking but in addition to what is mentioned on the packing list, we strongly recommend that you bring shoes that allow you walk in water. During your stay at Lake Natron you will walk to a waterfall and as most of the walk takes place alongside the river and in the riverbed itself, it is vital to have proper shoes for this activity. Flip flops are not suitable as they can break and be swept away when you cross the river. (Please feel free to contact us should you have any questions or wish to hire a sleeping bag). Luggage is restricted to one large bag / rucksack weighing no more than 15 kg. Furthermore, every traveller is allowed one piece of hand luggage. 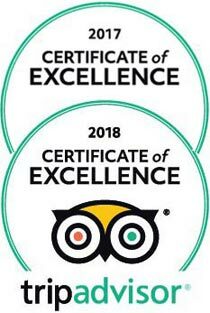 Due to the limited space in the vehicle, we kindly ask guests to refrain from travelling with suitcases as storing them in the vehicle could prove a problem. Please also do not forget to check the baggage allowances of your respective airlines. Should I bring some extra cash with me? Yes, we suggest that you bring some spending money for drinks, snacks, souvenirs and tips. Please only bring USD bills that have been printed after 2004 as earlier dated bills will not be accepted. Is a visa required for this trip? Most nationalities can apply for a visa upon arrival in Tanzania but all travellers need to contact their respective embassies to check the latest visa regulations. Furthermore, it is the sole responsibility of each traveller to be in possession of the required documents. Do I need to get myself vaccinated and is malaria a concern? We do recommend that you get a yellow fever vaccination as Tanzania finds itself in a yellow fever region. Tetanus, Diphtheria, Polio, Hepatitis A & B vaccinations are not required, but nevertheless recommend by us. Malaria is also present and we hence suggest some precautions for this as well. Please contact a travel clinic or your health care practitioner for further information on prophylaxis and the effects and side effects that come with it.